OSLO, NORWAY--(Marketwired - Nov 6, 2015) - NEXT Biometrics Group ASA (OAX: NEXT) today announced it will attend the major Cartes Secure Connexions expo in Paris November 17-19 to present NEXT Fingerprint Sensors in a variety of applications, including its NEXUS Smartphone design with a full-size fingerprint sensor of 12x17 millimeters on the back of the smartphone. NEXT, the lowest-cost provider of high-quality fingerprint sensors, will be at Booth K-053 in Hall 4 of the Paris-Nord Villepinte Exhibition Center. Cartes 2015 is a global event dedicated to secure solutions for payment, identification and mobility. NEXT CEO Tore Etholm-Idsoe said, "At Cartes we will be showing our sensors integrated in products targeting payments, governmental markets and other higher-end, quality critical applications. 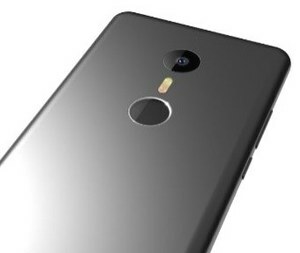 Included here will be a NEXUS Smartphone reference design in which we have integrated a full size sensor (12 by 17 mm) in the back of the phone. This facilitates secure and convenient use for close to a 100% of a population meeting the requirements of customers and applications that cannot allow simple pin-code or password based authentication as a back-up to the sensor." Radek Matyasek, NEXT's Vice President EMEA Sales, said, "Several NEXT-enabled programs are in active development using our sensors. At Cartes we will also be demonstrating a new 'NEXT-enabled' product designed by a customer, targeting secure payment transactions." About NEXT Biometrics: Enabled by its patented Active Thermal Principle, NEXT Biometrics, online at www.NextBiometrics.com, offers high quality area fingerprint sensors at a fraction of the prices of comparable competitors. A wide range of product formats including Smartphones, Tablets, PC's, Doors, Time registration systems, Wearables, Payment terminals, Flashdrives, USB-tokens, Key fobs and many more are targeted. NEXT BIOMETRICS GROUP ASA is a publicly listed company headquartered in Oslo, Norway and with sales, support and development subsidiaries in Seattle, Silicon Valley, Taipei, Prague and Shanghai. Media and Investor contacts for NEXT Biometrics: Tore Etholm-Idsøe, CEO, Tore.Idsoe@NEXTbiometrics.com and Knut Stalen, CFO, Knut.Stalen@NEXTbiometrics.com. NEXT will display Smartphone design with NEXT full-size 12x17mm fingerprint sensor on back of phone at Cartes Expo in Paris. 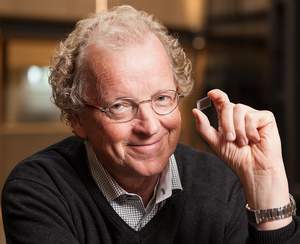 NEXT CEO Tore Etholm-Idsoe holding NEXT Ultra-Thin fingerprint sensor. NEXT will display full range of product applications at Cartes in Paris.